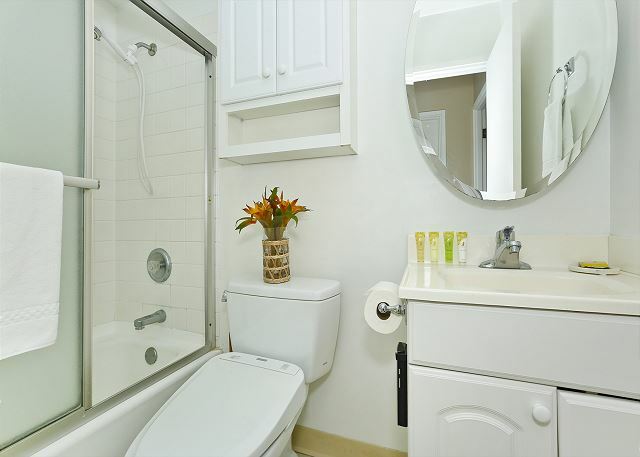 Fairway Villa #1217 - Washlets! A/C, washer/dryer, dishwasher, WiFi, and one parking. 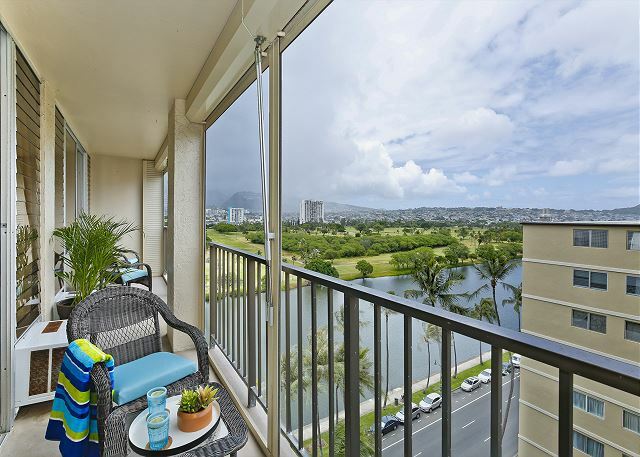 Enjoy Oahu's tropical beauty from this contemporary Hawaiian two-bedroom, two-bath condo (723 sq.ft. plus 151 sq.ft. lanai). We stayed for 7 nights from Sep 24, 2018. We were met by the manager at the car park entrance after phoning in from the airport as had been arranged. After negotiating 6 levels of the car park to our spot we then met at the lifts and escorted to the apartment for a detailed inspection and instructions which was 1st class. The place is a 2 bedroom / bathroom with a more than adequate kitchen and living area. My only concern was that we found the double bed on the small size. It was by far the smallest we had during our 3 week stay on the islands. The 2nd bedroom had 2 single beds. The wi-fi was strong and excellent so we were able to keep in touch with family, friends and business colleagues. 1217 is right at the end of the building. This gives you 2 views. One from the bedroom overlooks the golf course and canal and up into the hills above. The number of properties in the hills have certainly grown since our last visit. The other view from the 2nd bedroom and living room looks diagonally to the canal and golf course and you can see the back end of Diamond Head. You get some lovely sun rises when sitting on the ample balcony that was stocked with comfy chairs and tables. Level 12 is about 1 level higher than the apartments opposite. Where we come it is interesting to view apartment life and was no big deal. There are manual wind up shutters if you wish to lower them for privacy or to block that early morning sun. We enjoyed those sun rises. I enjoyed the washlets and want to get one installed at home! The apartment is only 2-3 blocks away from the beach. The main shops,eateries and restaurants are also within easy walking distance. There is a supermarket about 100 metres down the street that we used to stock up with our supplies. This is a very self-contained apartment. We enjoyed our stay immensely and we would aim to get #1217 if we came back. Great Rental Experience!! Excellent location! Our experience was excellent. They had already addressed and solved the water issue on the balcony mentioned in previous reviews. Condition of the condo and furniture were great. Everything worked as expected, with no issues whatsoever. Location was excellent with a grocery store, food trucks, mall and restaurants nearby. Originally, I was unsure of the distance from the beach, if that would be an issues, however, we found that the beach was really only a short walk. If you have little ones without a stroller it could be a challenge as you will need to cross two major busy streets; not my situation with teenagers, who went to the beach on their own with no issues. We utilized the AC unit at night cause my wife likes it cold for sleeping. During the mornings and daytime there was always cool breezes, so we opened the windows to enjoy them. Having a parking space was key since we wanted to explore the island and gave us the flexibility to come and go on our own schedule. But for exploring Waikiki we walked, which was wonderful, with all the shops and restaurants and shopping malls all very close by. 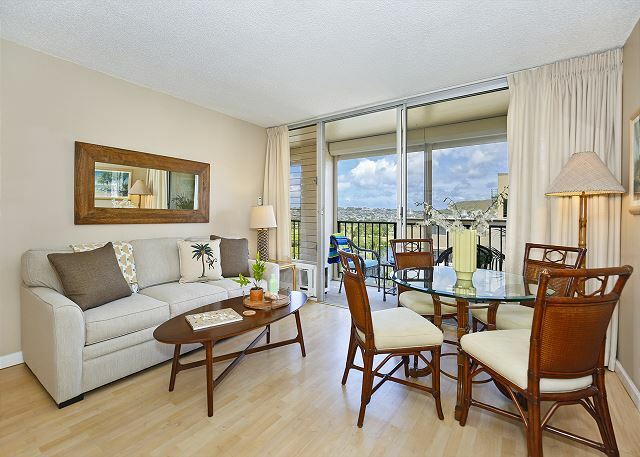 Aloha and mahalo for taking the time to post a 5 star review and recommendation of this fabulous condo. We're delighted you and your family enjoyed your stay! We appreciate the feedback and will look forward to your next visit! We stayed from Sunday to Saturday, and this place was perfect for our needs as we were traveling with 2 teenagers who each needed a bed. The property was very clean and the views were beautiful. We were a little caught off guard by the lack of central A/C being from the hot and humid south, but we ran the heck out of the individual units in each bedroom and living area and they kept the place perfectly comfortable. Yes, some water puddled slightly on the balcony, but we adjust one drip pan which helped. It wasn't something we found to be a concern. James, the property manager, met us as we arrived and gave us a rundown of everything and how it all worked. My kids were fascinated by the digital lock on the door. 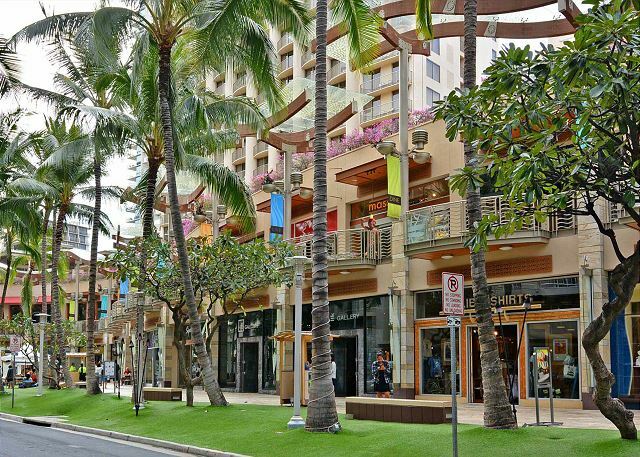 The location is within walking distance to Waikiki beach and plenty of shopping (everything from cheap souvenirs to Saks Fifth Avenue at the mall) and dining (from fast food to upscale). We took full advantage of the Food Pantry on the corner both for groceries and for quick takeout. There is a Walmart withing a short driving distance too. Everything we needed was there in the condo from cleaning (though I didn't find the dustpan until it was too late) to cooking. We thoroughly enjoyed our stay here and wouldn't hesitate to recommend it! Mahalo for posting a 5 star review and recommendation of your recent stay! We're delighted your Family Holiday visit was enjoyable! We’re happy to have provided all of the needs you required for a wonderful vacation! It's what we're here for! We look forward to your next visit! Central located, nice place to stay. Mahalo for the 5 star review and recommendation! We are so glad your stay was enjoyable, see you on your next visit! Good location, but needs lots of updates. 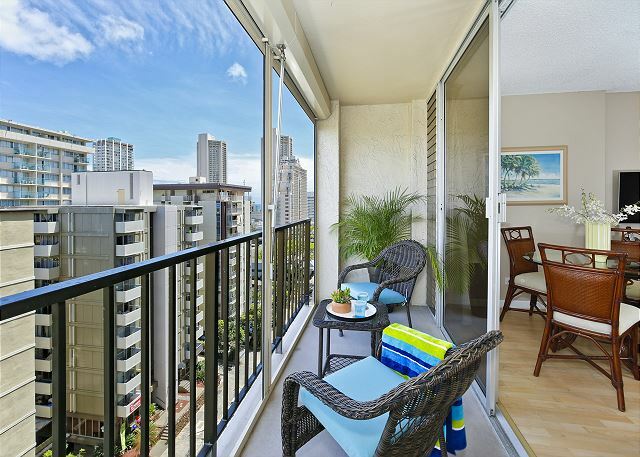 The condo was close to a grocery, restaurants, shops and the beach, which is helpful because of Waikiki traffic. Having a parking spot was great. One caution though... the parking garage is a bit of a challenge, and a larger SUV might have an issue navigating the turns. We appreciated starter supplies (dishwashing soap, toiletries), and James, the property manager, was, very helpful and accomodating. Check in and check out were both very easy, and we felt safe in the building and area. 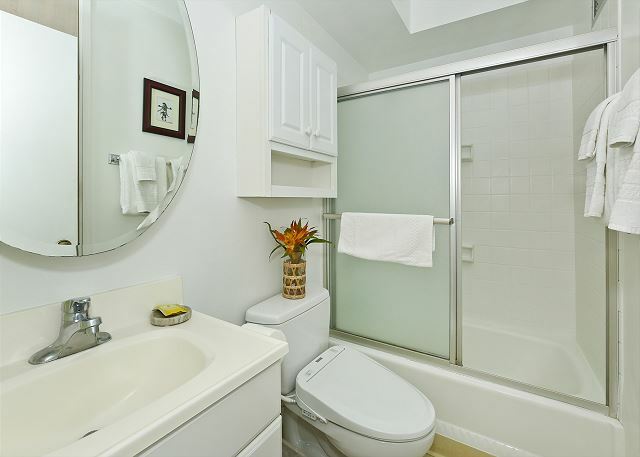 There were updated kitchen counters, and expensive electronic toilets, however most of the condo needs serious updating and a deep cleaning. The A/C was not efficient (we had to keep door to the twin bedroom closed becasue the unit was too small and not efficient). Other updates needed include flooring, bathtub/shower, painting, windows, drapes, and furniture, and appliances. I realize the area is expensive, but I expected a nicer environment for the money that we paid. Thank you for sharing your comments about your recent stay. We're glad that you appreciated the convenient location, free parking and helpful staff during your stay! The property manager has scheduled the repair of the A/C and we have contacted the owner about updating. - thank you for bringing those items to our attention. Your feedback helps ensure we keep doing things right and correct those things that have fallen below our standards. We value you as a customer and hope you will keep us in mind for your future vacation rental plans. Great rental and met our needs really well. The only issue we experienced was that one of the air conditioners leaked water all over the balcony and we had to step around the puddle to get access. Eventually it got so big, we could not step around it. James was awesome and very helpful. Mahalo! So glad to hear you enjoyed your stay - we are dedicated to offering great accommodations and service, and we're so glad your visit was enjoyable. We are very pleased that you called on your Property Manager James to resolve the Air Conditioner issue. Thank you for choosing Captain Cook Resorts and hope to see you on your next visit to Waikiki! Found the unit comfortable. We were supposed to be joined by friends but a ride on a motor scooter the week before and a resulting broken collar bone caused them to cancel. Captain Cooke was helpful with reworking our plans at the last minute. The unit itself was comfortable and had all we needed for the visit. The lanai provided an excellent spot for some beautiful sunrises. The parking garage was bizarre. Cars parked legally on the ramps meant a very careful drive to our space. The unit is located right on the Ala Wai which was pretty to look at but the noise from sirens coming from the fire station got to be a bit much. We had some heavy rain, thunder and lighting a few days but it is was warm here and freezing at home so we will take Hawaii. Negatives: Our apartment was very quiet except for constant street noise - perhaps better windows to dampen noise? One of the bathrooms did not have consistent water flow in the shower - first hot, then cold, then a trickle, no matter how I turned the handle. The dishwasher worked well and was quiet, however, sometimes when I pushed the "start" button it wouldn't start. Perhaps the button is worn out? The air conditioners on the balcony produced so much water we could not enjoy the balcony (too much pooled water). Perhaps better drains on the balcony are needed? The twin beds in the second bedroom were very short. I am five feet four inches, and my feet often were off the end of the bed. Even if a longer bed covered part of the closet, I feel that longer beds are needed in the second bedroom. Positives: James (the apartment manager) was waiting for us, and patiently explained how everything worked - the apartment door, the appliances, telephone, TV, and the "washlet" toilets (which we had never used before). We felt safe with 24 hr security on the job. The apartment was 1/2 block from "Food Pantry" for all our grocery needs. The parking space was awesome - easy to get into and out of! The view from the balcony produced stunning sunrises and sunsets. The roll down shades on the balcony were a welcome feature for control of the sun through the day. 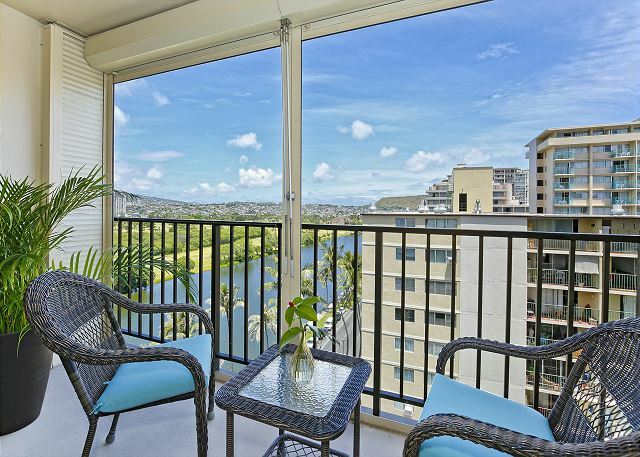 Overall I would definitely book this apartment again if I ever visit Oahu in the future. Mahalo for posting a great review and recommendation! We are so pleased that you enjoyed your stay in this wonderful condo! Hope to see you on your next visit! Mahalo for posting your review and recommendation. We are delighted that you enjoyed your stay and that you appreciated the location of this great condo! We look forward to welcoming you back in the near future. P.S. We think James is great to work with too! The condo was everything the description and photos said it would be. The location was excellent. 24 hour security was a good feeling. The staff and security were great and friendly. 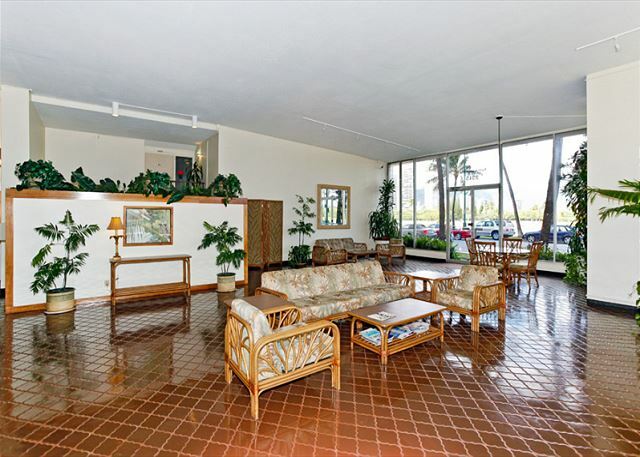 The condo and building was clean and well maintained. The check in and check out was smooth. Koodos to Captain Cook and they even called to check in mid rental to see if there were any questions. Plan on booking this building for next year. 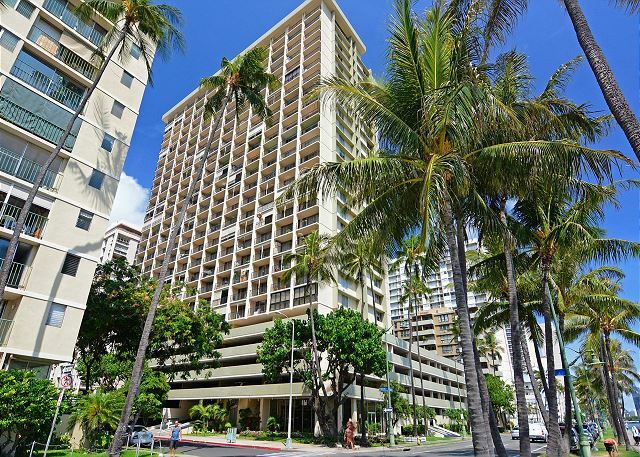 I would recommend Captain Cook and this building for anyone wanting to stay in Waikiki. Mahalo, for the wonderful 5 star review and for choosing to stay with Captain Cook Resorts during your recent visit to Hawaii. We're so pleased that we exceeded your expectations, its always encouraging when customers acknowledge the good work of our team! We look forward to seeing you on your next visit! #1217 was perfectly adequate for our needs. We were two couples so two bedrooms and two bathrooms was perfect. The view from the deck was great, nice to see the canal and beyond. There is a sea peep too. The unit was clean, beds comfortable and kitchen had everything we needed. We only ate breakfast at home each day. The décor is pretty ordinary but certainly wouldn't put us off returning as location was great. A Food Pantry on the corner plus a tram stop nearby. Easy walk to main shopping streets and beach. The property manager was very accommodating, friendly and most helpful. We all enjoyed our time at Fairway Villas. Mahalo, It makes our day to read such an enthusiastic review! We're so glad you enjoyed your stay and pleased that you appreciated the location of this fabulous condo! We look forward to seeing you on your next visit! We enjoyed our stay. This unit is clean. Two bathrooms are clean too. Kitchen has washing machine and enough equipment. A security guard always stays at the building entrance (besides very friendly). During stay If you find anything that needs attention, you can tell a property manager right away, in Japanese. That's reassuring. We'll come back here again! Mahalo for the positive comments and recommendation! It’s always encouraging when customers acknowledge the good work of our team. We look forward to seeing you on your next visit! 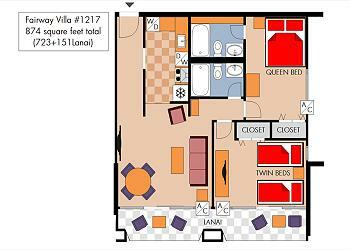 Our family of four very much enjoyed our stay at Fairway Villa, unit 1217. This apartment was clean and comfortable, and the kitchen was well equipped. There was a generous supply of towels, incl beach towels, which was appreciated. The digital keyless entry to the unit was also a really handy feature. James from Captain Cook Real Estate was very helpful and friendly, and many thanks again James for the early check-in. This apartment is great value for money, and highly recommended. Thanks again for a great stay in Waikiki! Mahalo, we are so glad to hear you and your family enjoyed your stay - we are dedicated to offering great accommodations and service, and we're glad we were able to provide everything you needed for a wonderful vacation. We look forward to seeing you on your next trip! Great location and views of the mountain and canal. 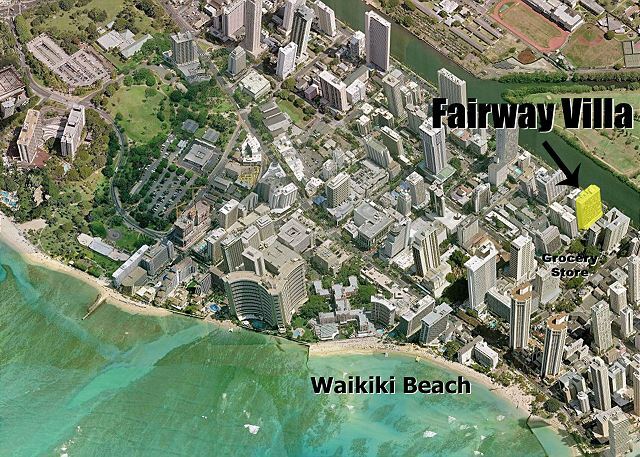 V close to Waikiki and the surrounding area. Great food walking distance. Nice find! Mahalo, for the lovely review! We're so glad you enjoyed your stay and pleased that you appreciated the views and location of this fabulous condo! We look forward to seeing you on your next visit! This villa was nice, neat and tidy. It was a few streets back from the beach but still close to everything so not a problem. There is a supermarket at the end of the street which is very convenient. Our only problem was the noise. The trade winds blow right through this villa and the entire day and night the villa literally whistles, the main bedroom is the worst and that coupled with the main road down below was a nightmare. We only stayed for 4 days and during that time we got little next to no sleep. The sirens, car horns and constant traffic was constant and sitting out on the balcony was just unpleasant as the sound of cars constantly was just too much. If you can sleep through anything and the noise doesn't bother you then I would recommend this villa as everything else was great. Mahalo for your time and input of your recent stay. We were sorry to hear of the noise issues you experienced , Waikiki is a busy place and can be noisy at times. We are glad that you appreciated the location of this wonderful condo and we hope your future travels do include another visit! See you then! We loved our apartment at Fairway Villa! 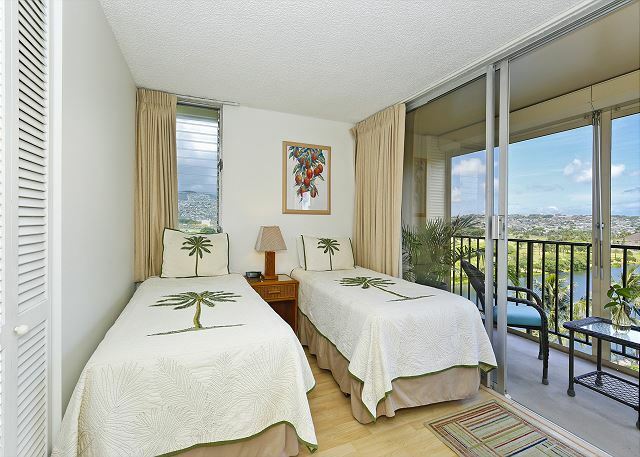 It was clean and comfortable with a stella view of Diamond Head and the canal. Being a few blocks back from Waikiki worked perfectly for us to get us out of the hustle and bustle! We could walk to the beach and shops in 5 minutes and had a grocery shop about 100m away. The rooftop pool and spa is small but it wasn't ever crowded, the view from the roof is amazing especially at night. 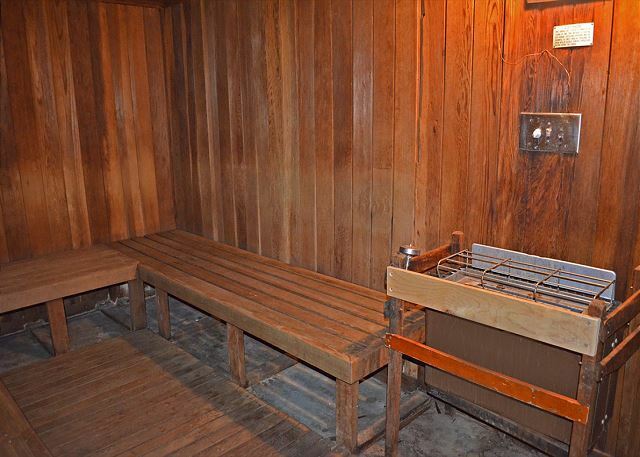 We were disappointed with not being able to use water on the stones in the sauna - so it was really just a warm room. Other than that it was perfect accommodation for a family holiday! Mahalo for choosing to stay with Captain Cook Resorts and the great 5 star review and recommendation! We're so glad your visit was enjoyable and pleased that you appreciated the location and beautiful views of this fabulous condo! We look forward to seeing you on your next visit! Mahalo, Anne! We are glad to hear you appreciated the location of the this great condo! Thanks for the feedback and will look forward to your next visit! P.S. We think James is wonderful to work with too! It was as close to perfect as you can get. Mahalo for the 5 star review and recommendation! We hope your future travels do include another visit! See you then! Nice Location, very helpfull and friendly stuff, a lot of kitchen amenities but better clean china and silverware before use. And cleaning at least under moveable furniture could be provided. .Also extension cords would be helpfull to actually use the beautiful bedside lamps. Mahalo Matthias, for taking the time to post and review and recommendation. We were unhappy to hear that you felt that the condo was not cleaned properly. Had you notified us immediately, we would have had Housekeeping back to the unit right away to make sure everything was up to our standards. In the future, please remember that the property manager is there to resolve any issues that may arise during your stay. I will pass your feedback onto the team, and we look forward to your next visit! Mahalo, Al, for sharing your comments about your recent stay. We were very unhappy to hear that you felt the condo was not cleaned properly upon your arrival. Had you notified us immediately, we would have had Housekeeping back to the unit right away to make sure everything was up to our standards. I will pass your feedback onto the team, and we look forward to your next visit! Unfortunately, our system doesn't translate Japanese yet, but we can see by your 4-5-Star rating, you enjoyed your stay in this beautiful condo! The condo was in a perfect location - with 24 hour security. You can see the golf course and into Waikiki from the balcony. There is a food pantry at the end of the block and the beach and shopping in easy walking distance. 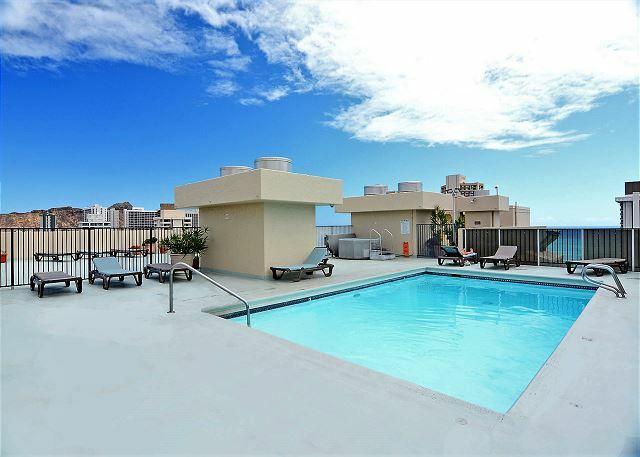 The rooftop pool and BBQ area was perfect for a day in away from the busy beach! The main bathroom could do with some updating but overall we had an excellent stay. So glad to hear you enjoyed your stay - we are dedicated to offering great accommodations and service, and we're so glad your visit was enjoyable. We hope your future travels include another visit! See you then! Unit was clean and in a great location. You can walk to the beach and to many restaurants and stores. Mahalo, Craig, for the wonderful review! Hope you are able to plan a return trip soon! Jessica, the manager, was responsive and helpful. One of our fobs didn't work the day before we leave, but the security guard helped us to get in. We didn't need a new fob back then so Jess may have taken care of it for the next stay I guess. The property already has what you need for the first couple of days stay. They had detergents, soap, and most of the utensils in the kitchen. There were A/Cs but no need to use since the weather was cool and nice. We would love to stay here again!!! Thanks so much for leaving such a great review. Happy to have provided all of the needs you required for a wonderful vacation! We look forward to your next visit! This is a comfortable unit with nice views. We flew in on Saturday. I saved the PDF to my phone as I didn't want to download an app. The PDF is 50 pages long with way too much info. The ck in info had a link not active in the PDF. So that part was a bit complicated/frustrating. The unit is great. It's very bare bones. Most airbnb type places have shampoo and so on. The beds are comfy, the views are great and the location is good. Overall I would recommend. I stayed here for a work trip. 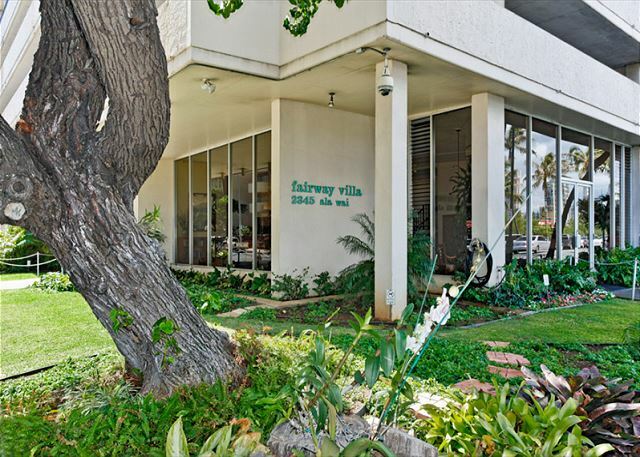 Mahalo, Benjie, for taking the time to share your recent experience at Fairway Villa #1217! It's always great to get this kind of feedback - we're so glad you enjoyed your stay! 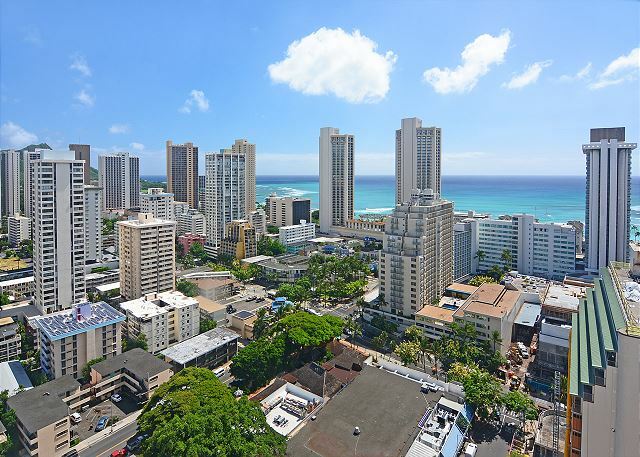 We understand your frustration with downloading the PDF as all of the information we provide for your stay in Waikiki would be contained in it. if you choose not to download the app all the information you would need for check in would be in your final confirmation and arrival letter. We look forward to seeing you again soon! Property was clean and as described. Secure electronic entry into apartment building with manned security desk in lobby. Good wifi. Handy undercover parking. Convenient and clean fridge, dishwasher, separate washer and dryer. Air conditioners are sufficient. Beds are comfortable. Boogie boards and beach towels supplied. Shower soap, laundry soap and dishwasher detergent supplied. Pool and spa facilities are good. 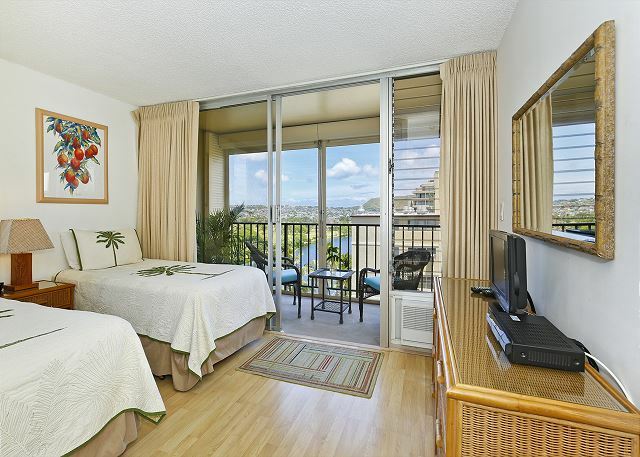 Walking distance to Waikiki Beach and shops. Supermarket at end of the street. I enjoyed my stay at the Fairway Villa as well as my family. Everything was nice, clean and secure. It was quiet and less than a block from a food market and shopping. Beach is within a short walking distance. Would recommend to anyone looking for a comfortable location at a very reasonable price. Mahalo, Larry! We appreciate the great feedback! My family of 4 adults enjoyed our stay. The agent met us and explained everything clearly. The unit was compact but very adequate ,clean tidy and comfortable. The location was great, easy walk to shops beach and food store.The only minor negative was the need for all 3 air conditioners to be on at 73 F to keep the apartment cool and quiet, as there was so many air leaks from the louvre windows and too much traffic noise to rely on the breeze from open windows and doors. would stay there again though. Mahalo, Geoffrey, for the feedback. Yes, the louver windows can be challenging at times! Glad you were able to make them work for you, though! Life in the tropics! The condo was clean and accurately represented in the photos. The location was good, a couple blocks off the beach which was nice because we did not hear noise from the beach at night. The beach resorts all have music and other loud activities which we did not hear at this location which was good. Mahalo, Michael, for the great review and recommendation! Hope you can visit again soon! Jessica was great getting us set up upon arrival. The location was great for all the things we wanted to do and the paring space was nice, not having to worry about finding one every time we left the building. The pool and grills on the 29th floor were clean and easy to use. Having a washer/dryer in the condo made for easy laundry without having to go out. Mahalo for the great review, Patrick! Glad this condo worked out so well for you all. Hope you can visit us again soon! I was able to check in immediately after I arrived at the airport, it was very comfortable. Mahalo for the 5-star review, Noriko! We apologize for the elevator issues you encountered, however. 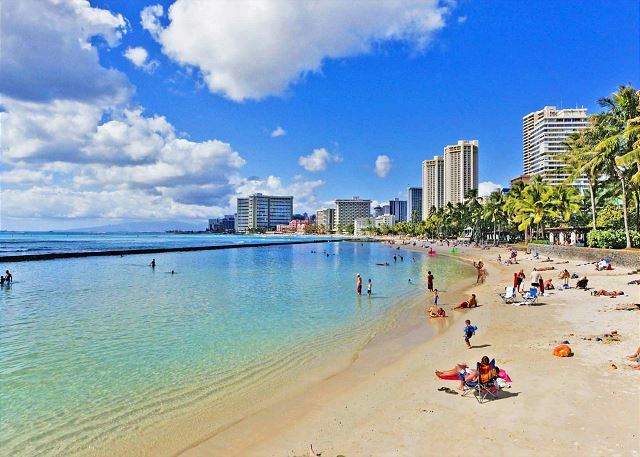 We had a short stay in Honolulu and wanted to be in the midst of the action close to Waikiki Beach. We were not disappointed. Unfortunately, we were very late arriving from the airport and missed Jessica Kaleikau at security, but she had unlocked the apartment for us and we worked out from information in the unit what to do with the lock on the door as well as the departure procedure. 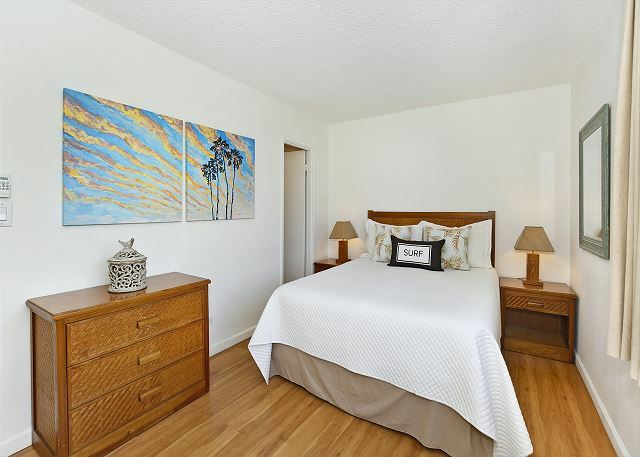 The unit is walking distance to major bus routes and only minutes walk from the main beaches. Food Pantry is practically across the road and very handy for grocery items. The apartment felt secure, with security at the main entrance and the locking mechanism on our apartment door. We were on the 12th floor with views over the canal and the golf course. We got the beautiful afternoon breeze and the apartment did not get too hot in the afternoon. The apartment was well equipped with all kitchen utensils and everything was clean and tidy. We would only have one request, that is to include salt and pepper for the guests. To buy these two staples seemed silly, since we were only staying a couple of days and did not want to add salt and pepper to our luggage. All in all a great holiday and a great apartment. we didn't have to wait until chek in time. Mahalo for the review and feedback! Our check-in instructions ask that you call the property manager after arrival to arrange for the check-in time. We apologize that this was misunderstood. We hope you're able to return for another stay. Was very clean, well located and everyone very friendly and helpful. We ended up extending our stay for another 3 nights and everyone was very helpful in finding another room in the same building. Mahalo, Chris! We're so glad you enjoyed your stay! Hope you're able to plan another visit soon! 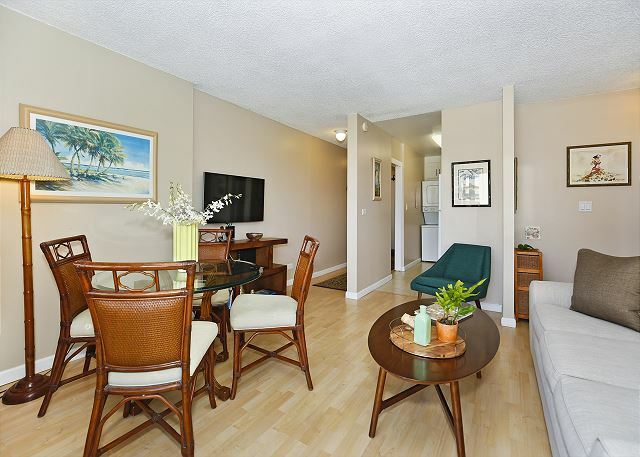 This condo is in a great location - 2 blocks from the beach - next to a grocery store - beautiful view of the canal. Security was very friendly and helpful! Mahalo, Lisa! Happy to hear your stay was so great! Hope you can visit us again soon! Nothing was available without problems . Mahalo, Joan, for the feedback and recommendation! Your comment about security will be brought up with the Resident Manager. Hope to see you again sometime soon! 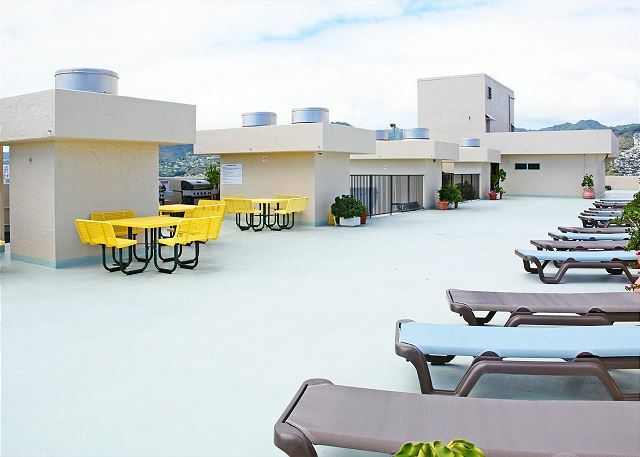 Overall very happy, very well equipped, comfy beds, air conditioning that worked, excellent location.....5 mins walk from Waikiki Beach and main shopping complaints at all, would stay there again! Mahalo, Sara! We look forward to having you visit again! Very convenient location and we are very pleased with the service and the accommodation. would recommend to others who are thinking of staying for a while. Mahalo for the great review and recommendation! We hope you're able to plan a return visit soon! This has been our second visit to this property. We like the fact there is parking & there is security downstairs. 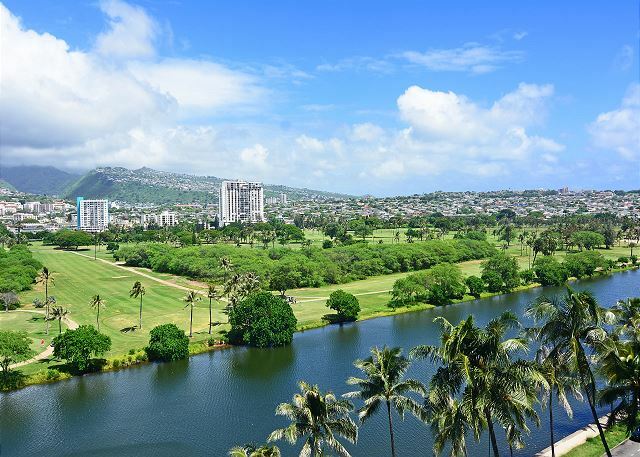 12th floor gives good views of the Ala Wai Canal & golf course. Downside to this property is that it can be noisy with cars & occasional sirens coming from Ala Wai Street, but not a deal breaker. Building complex is quiet with only one neighbor who likes to cook garlicly food late at night. We would definitely stay here again. Mahalo for the review, Sherri, and the repeat stay! We hope you're able to plan another visit soon! Aloha Andrew and mahalo for taking the time to post a review - we appreciate your feedback! Glad you enjoyed your stay! The pool and recreation deck is definitely open to all guests of Fairway Villa. We'll make sure to share that information with the guards on duty! Great value. Location is 4 blocks from beach, but lots to see along the way so we didn't mind and actually enjoyed it. Small grocery store was very close and made it easy to purchase few items to eat in the room. Having kitchen, washer and dryer was awesome. Jessica was extremely helpful and available for any questions/concerns we had. Had a concern about roaches; I learned this is the norm for the island due to no "season" to get rid of them for a while. Even though I realize there wasn't anything to be done after speaking with Jessica, she still sent over exterminator the same day. We used the roof top pool daily. The free parking and wifi were a huge bonus, I would stay again for sure. Mahalo for choosing to stay with Captain Cook Resorts and the great review and recommendation! We're so glad your visit was enjoyable and look forward to seeing you again. We will pass your feedback on to Jessica, your property manager; she's a real asset to the Captain Cook Resorts team! Great location/great facilities. A short walk to Waikiki Beach. The apartment was well positioned, facilities were good. It met all our needs. Mahalo for the positive reviewand recommendation! It was great having our own condo and be able to cook our meals. Apt #1217 looked just like the pictures shown. The place was clean and comfortable. The kitchen had everything needed to cook a meal. There was a dishwasher, washer and dryer in the kitchen. They also provided a starter kit with all the necessities for the first few days. It was a comfortable stay for four people. The view was great and the location is super convenient! Villa was neat and clean as pictured in villa description. Everything was in working order. Limited supplies (no detergent for washing machine and dustpan was missing). We were very happy with towel supply including beach towels and 2 sand chairs. Chairs and tables on balcony were convenient for viewing the surrounding area, such as the canal, golf course, ocean and sunrise. Lobby was clean and the security staff was friendly. Also nearby were public buses, tourist booths, restaurants, shop for internet access, luxury shopping stores, and Waikiki beach. Since parking is free at the condo,would recommend renting a car if you want to see other areas of the island on your own. Location of the villa is excellent and it is highly recommended for 2 couples or for families. We ate most of our meals in the condo - only restaurant we ate at was Nico's - located on the waterfront - and I would recommend it. Food is very expensive in the local supermarket so we went to a Walmart to buy groceries. The Coffee Bean and Starbuck's are within 2 blocks. By the way, we went to Germaine's luau and enjoyed the food, show and, in particular, our host on the bus, Cuzzin Reno. We have been to Maui and to Kauai and enjoyed Oahu the best because of the extensive activities. 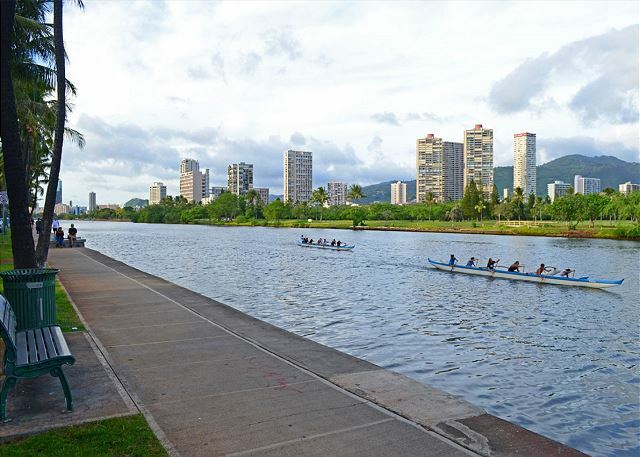 Honolulu is a beautiful city - it has been on a building campaign for the last 15 years and it is much improved since we were there 23 years ago. Can't wait to return to Honolulu. Aloha and mahalo for sharing your comments about your recent stay! So glad you enjoyed your stay with us - and the numerous activities Oahu has to offer! 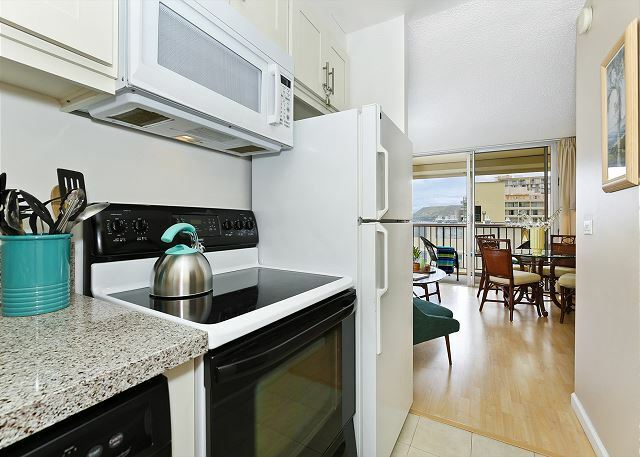 a surprisingly nice and clean condo, you got great view from the balcony and the location is very convenient, walking distance to the center of waikiki. 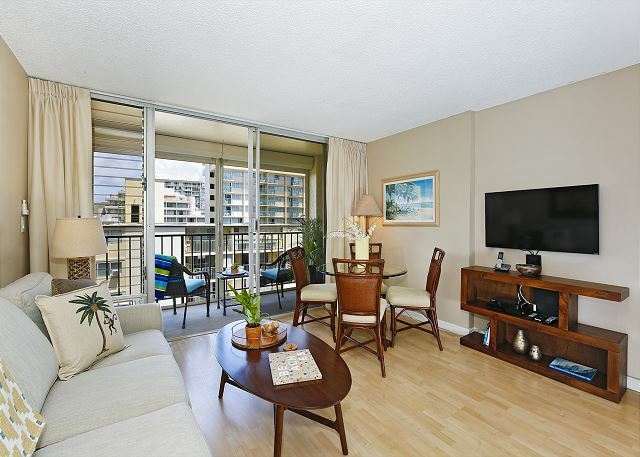 Highly recommended to anyone who's looking for a vacation condo in waikiki. We enjoyed our stay. The amenities were great! We has all we needed to feel like home. Very close to shops, restaurants and the beach. Walking to nearby stores was easy and convenient. Loved the stay. Condo was exactly as advertised. Byron was a great host and contact. We left a styrofoam cooler and two beach chairs to "pay it forward" so hope those will remain for future guests should they need them. We stayed with our 11 month old and we had everything we needed to make our stay complete. Building/condo was clean and the the owners were very professional and accomidating. We were very satisfied! This place was perfect for our quick, 5-day trip to paradise. 1. Located very close to where you want to be. Easy walk to shopping, restaurants, beach, groceries, etc. Just one block to Kuhio where the local bus lines run. Can get to anywhere from here. 2. Newer furnishings and newly remodeled. 3. Free Wi-fi- easy access & good signal. 4. The Food Pantry grocery store is only 1 block away. Good selection. 1. Located on a VERY noisy street! Ala Wai has alot of traffic noise and folks yelling on the street all hrs of the night. Nice view of Ala Wai canal, but otherwise view is nothing but neighbors on their lanais & hi-rise bldgs. View of Diamond head is blocked by bldgs. No clear view from roof top either. 2. Small- we had only 2 people here and it felt cramped. You could do 4 but be prepared to be uncomfortable. IF you plan on being here only to sleep, that might work, but "hanging out" at this condo won't be fun. 3. The wind down Ala Wai can literally howl and the older jalousie windows here don't seal properly and add to the howling noise. 4. Condo is adequately equipped as long as you are only doing small breakfasts here. Would be difficult to cook entire meal. 5. No beach chairs to use at the beach. 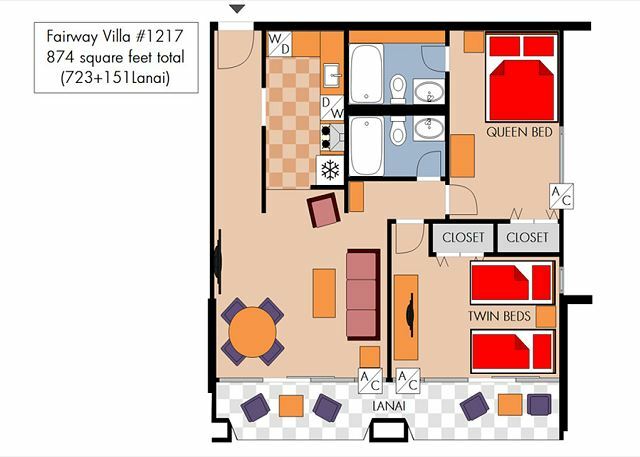 Personally, I would not stay here again (or any place that fronted Ala Wai), BUT if this fits your budget and you only have 2 people it works. Bring your ear plugs. We enjoyed our time at 1217 Fairway Villa. Captain Cook Resort staff were very professional. Unit was in very good condition and felt spacious for Waikiki. Both security staff and other residents were friendly. Only downside was some traffic noise at night (with the a/c off). That's a pretty minor point. Overall, highly recommended.